In 1975, Junko Tabei did the unthinkable. She left her daughter at home with her husband. Then she went off to climb Mount Everest. But against this backdrop, Tabei: gathered a group of 15 women (part of the Ladies Climbing Club that she’d started in 1969); organized media sponsorship (not an easy feat, as many replied saying “we should be raising children instead”), and set out to make history. It was not easy going. While camping at 6,300 meters, the group was caught off-guard by an avalanche, and Tabei was knocked unconscious and buried for a full six minutes before being rescued. She continued from there to the top, realizing as she got nearer to the peak that the guides off of which she’d planned the trip had neglected to mention the final knife-edge ridge before the summit. “I got so angry at the previous climbers who hadn’t warned me about that knife-edge traverse in their expedition records,” she said. But she powered through and made it to the top. She did not stop there. In the years following, she also became the first woman to scale the Seven Summits. 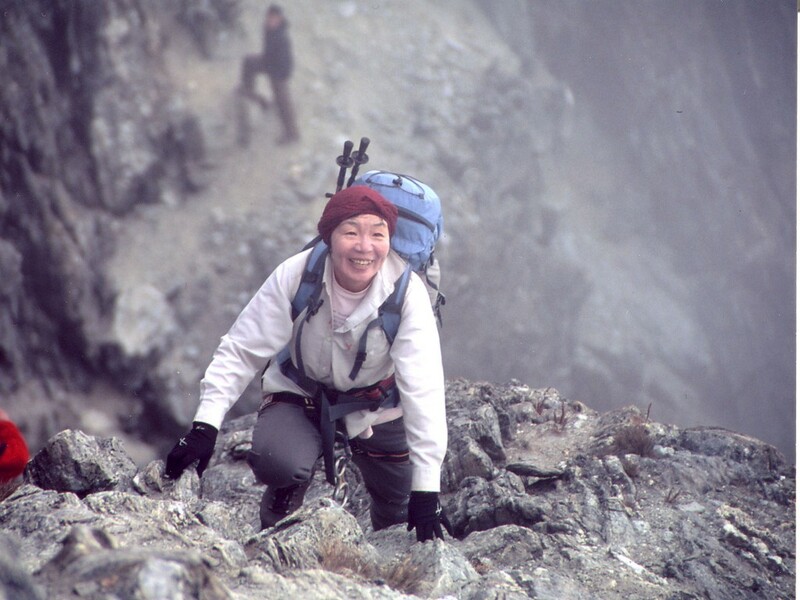 Since then, she’s focused more of her attention on advancing the role of women in Japanese society and tackling the problem of sustainable mountaineering. Even in her seventies, she’s still a force to be reckoned with.